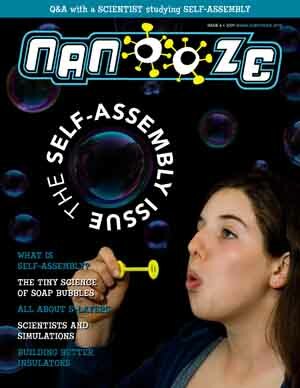 Issue 6: Self-Assembly (Currently not available in print) | Nanooze! Few things in life are free. It usually takes parts and tools and some energy to build stuff. But can you imagine a bunch of parts assembling into something all by themselves? Some molecules can actually self- assemble to make interesting structures, i.e., they put themselves together ! To do that they need to have some parts that attract to each other and some parts that like to stick to something else. 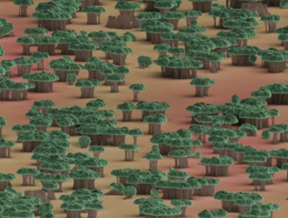 At the nanometer scale, these attractive forces are pretty powerful. So powerful that they can even overcome gravity. Self-assembly is all around us. Do you have to go into a high-tech laboratory to see things that self-assemble? Nah. It’s all around you. Snowflakes are crystals of water that self-assemble in the sky. 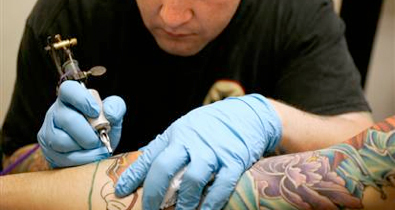 They start off with a piece of dust and crystals of ice form around it. They change in shape and size because of changes in temperature and the wind. Soap bubbles also self-assemble—the soap molecules and the water molecules organize themselves to form one layer. And bucky balls, those curious things made up of only carbon, are self-assembled. They were discovered by a group of scientists who were looking for different forms of carbon found in far-off stars. In this issue: We …. Look at how some of the newest products use parts that are made by self-assembly. Explore how scientists can guess at how things too small to see might behave without even actually making them.